A long fascination with BR52s led to opportunities from the middle 1990s to today to see many of the remaining examples across Europe and Asia Minor. 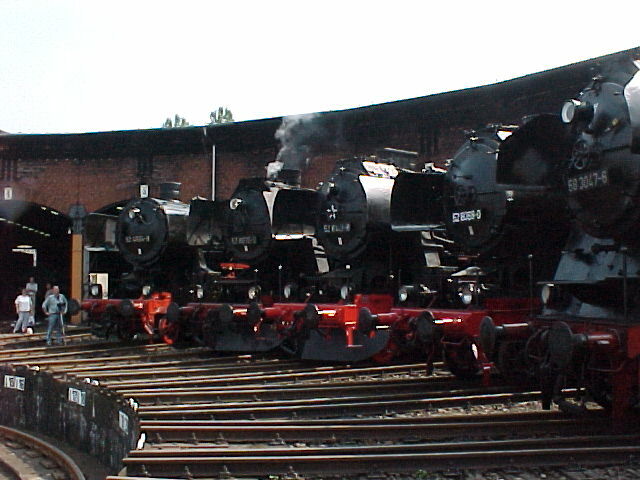 The photos listed show them in almost every condition from fully operational through operational but only as dampfspenders/heizloks to fully preserved but plinthed. 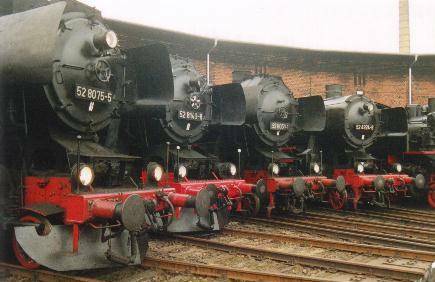 Since Polish factories continued production of Br52s as their Ty42s, these have been included although it is not totally clear to me, when a Ty2 became a Ty42. Some were converted to Klima snowploughs in Austria, and some photos are included to complete the picture. Many other examples were seen, but either their position, lighting conditions or my lack of skill prevented reasonable photography. You can enjoy some of these in The Ones That Got Away. You are welcome to download these, and if you use them for any purpose, please let me know. 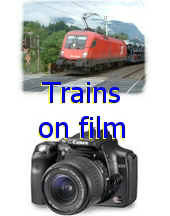 Some have already appeared in Merkur (the journal of the German Railway Society ), in the Journal of the Austrian Railway Group and Eurorail News. If you want a higher definition, please Email me and I'll see what can be done. If any part of this site doesn't work, or contains errors, please let me know and I shall try to correct as soon as possible.